Correct and balance skin with the Redness Neutraliser from world-renowned leader in advanced science-based skincare, SkinCeuticals; a lightweight redness reducing cream with a gel-like consistency that reinforces the skin’s barrier function. Utilising a combination of biomimetic peptides and soothing natural plant ingredients, the formula is designed to combat the environmental triggers that can lead to the appearance of blotchiness, redness and flushing. 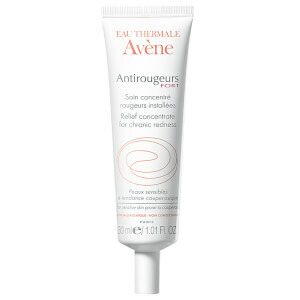 Cooling and rejuvenating, the cream brings down the sensation of discomfort and improves skin smoothness and radiance. Gently pat a thin layer onto face, neck and chest after cleansing, twice a day. Aqua/Water, Squalama, Glycerin, Isopropyl Lauroyl Sarcosinate, Undecane, Butyrospermum Parkii Butter/Shea Butter, Tridecane, PEG-100 Stearate, Glyceryl Stearate, PEG-20 Stearate, Ammonium Polyacryldimethyltauramide/Ammonium Polyacryloyldimethyl Taurate, Bisabolol, Butylene Glycol, Caffeine, Caprylyl Glycol, Carbomer, Cetyl Alcohol, Dextrin, Disodium EDTA, Eperua Falcata Bark Extract, Farnesol, Palmitoyl Tripeptide-8, Panthenol, Pentaerthrityl Tetra-Di-T-Butyl Hydroxyhydrocinnamate, Sodium Benzoate, Tocopherol, Triethanolamine, Xanthan Gum, Zinc Gluconate.